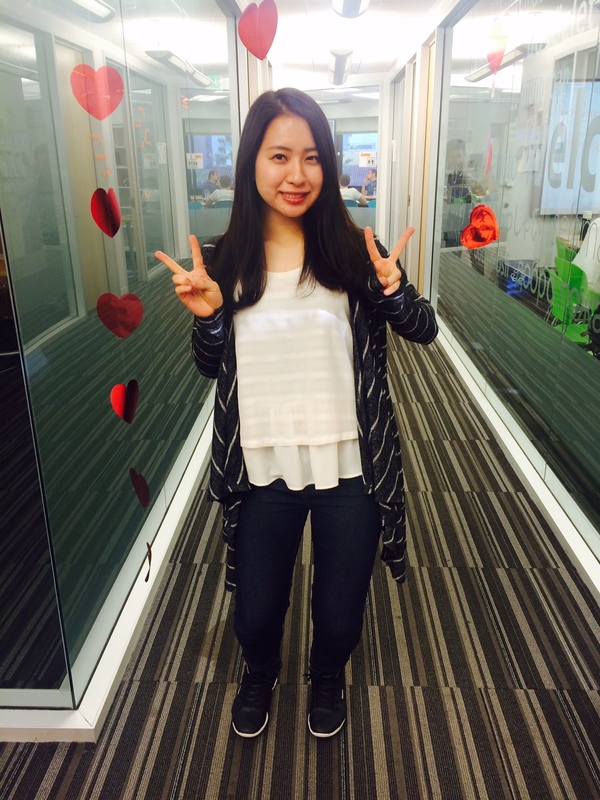 Meet Mako, Cheerful new ECLA Intern! Meet Mako, the new ECLA intern! Hi, everyone. My name is Mako. I am from Tokyo, Japan. I work in the front desk as an intern here. Are you a university student? What do you study? I was a junior in the university in Japan until January 2016. I majored in International Relations, with a focus on Politics. But I am taking a long break for one year and I am here to see you! Why do you work at EC English as an internship student? I want to improve my English skills. I want to touch many cultures and communicate with students from all over the world. Here is the best place for me to do that! I am very lucky to come here because my co-workers always help me and always smile and students are friendly! I am interested in National Parks. My most favorite park is the Grand Canyon. CA has a lot of National Parks. So if you have good information about them, please tell me at the front desk! What do you like in LA? I like everything! The weather is great, the beach is great, the people are kind and food is delicious. In particular, I like watching the sun set over Santa Monica beach. I don’t play anything now. But I was a manager of the baseball team in the university, and I worked at the baseball stadium as a beer seller before I come here. I don’t play baseball, but I like watching baseball games very much! And also I played basketball for 6 years. EC welcomes you, Mako! We hope you have a wonderful time here! Interested in studying at EC Los Angeles English Center? Visit us today!